Protecting our national water resources has become an important function of our local municipalities. Recent regulations from the EPA has mandated that municipalities, large and small, take part in this protection effort. Municipalities are required to apply for a NPDES-Nation Pollutant Discharge Elimination System permit. Part of the requirements in the permit process is the creation of a MS4 Storm Water Management Plan (SWMP). As part of the SWMP, the disposal of dog waste is addressed. 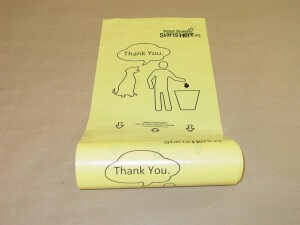 We can help with our pet waste stations and pet waste station bags. BUT we can help more. Within the permit application are questions that address public education and outreach concerning the disposal of pet waste. 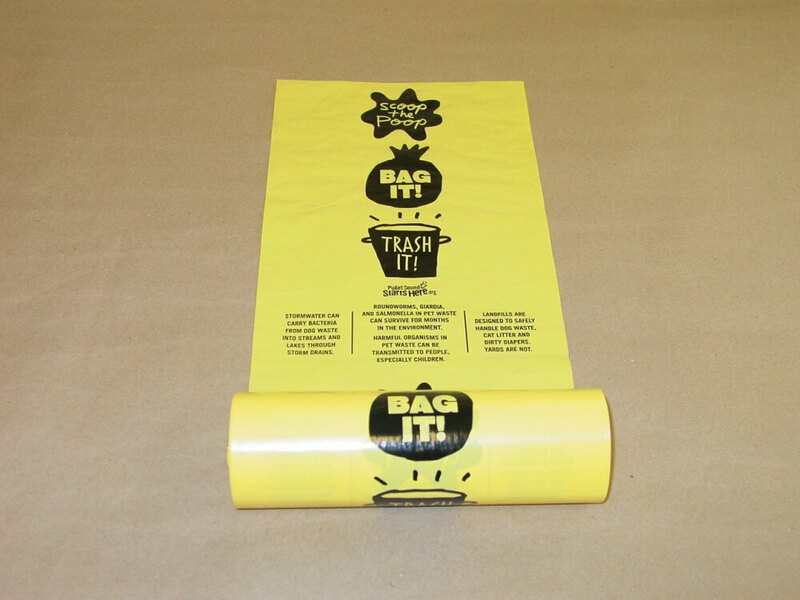 Custom printed dog waste bags are a public education and outreach tool. 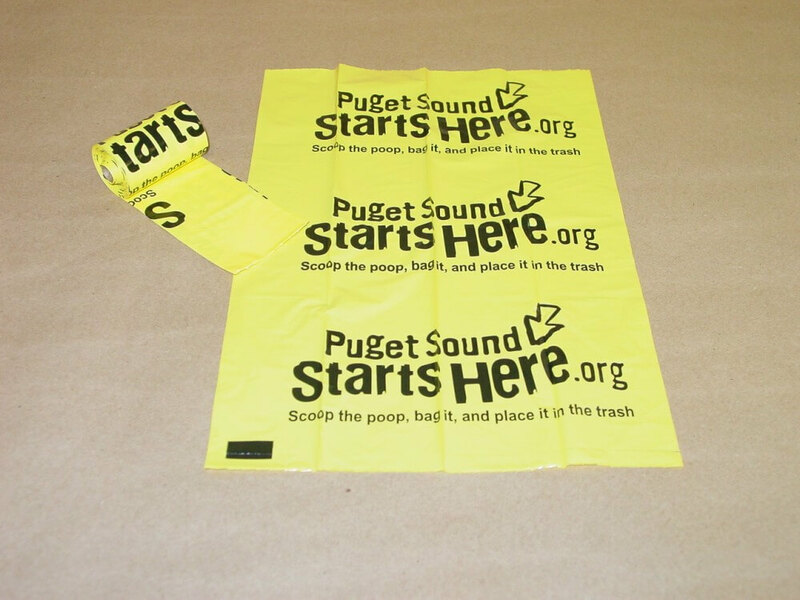 In the Seattle area, Puget Sound Starts Here, recognized the value of incorporating custom printed dog waste bags in their public education and outreach efforts. 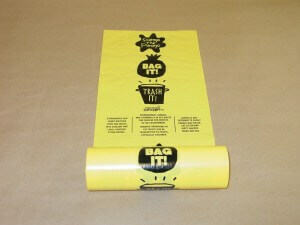 Initially we created a custom printed bag educational dog waste bag for use in pet waste stations. 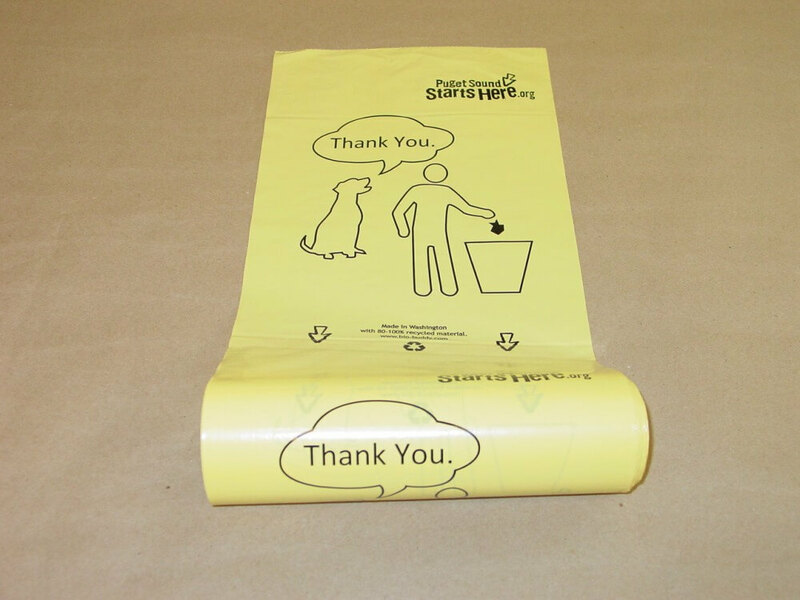 The third dog waste bag that was introduced became a public education tool in a different way. This bag was our small 15 count roll, the type that the dog owner puts in the clip-on-the-leash holder. The small rolls created a new way to educate the public. 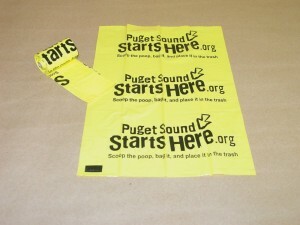 The rolls are used as hand-out at fairs and gatherings where PSSH is trying to spread their environmental message. We are happy to help create a design for your individual situation. I want to share this great video from Puget Sound Stats Here about dog waste pickup. I think it is one of the best I have seen.